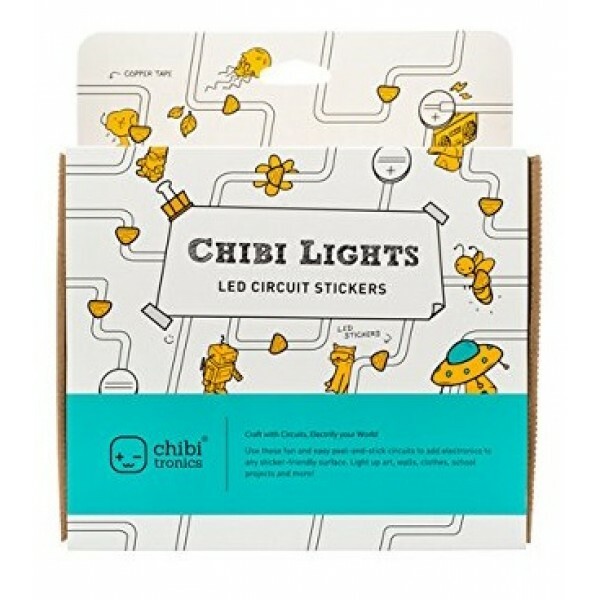 Chibitronics Chibi Lights Circuit Stickers are a creative and fun way to learn electronics. 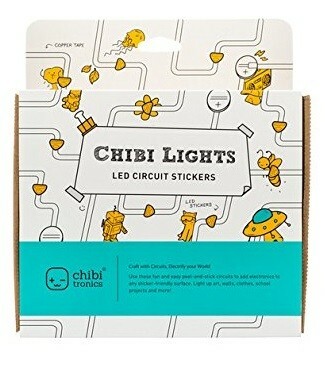 Circuit stickers are LED circuits on peel-and-stick stickers. Build circuits without soldering, plugging wires, or clips. Instead, use the stickers with conductive tapes to draw circuits on paper and other crafts -- it's easy, fun, safe and creative. The Chibitronics Starter Kit comes with the illustrated Circuit Sticker Sketchbook, which walks you though five circuit concepts including parallel circuits, switches, and resistance-based sensors. Every activity comes with a circuit theory lesson, a template with drawing activity and then an open-ended activity for you to design and create your own circuits. 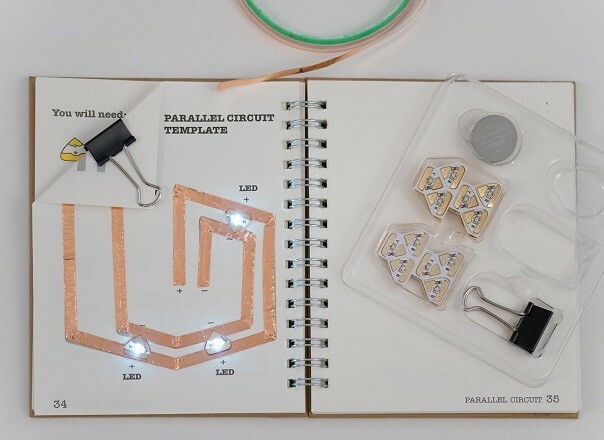 Since the circuits are completed right on the pages of the book, you will have an interactive sketchbook of working circuits to refer to as you design your own projects. Best of all, you'll be able to learn new electronics concepts while also expressing yourself in whole new ways. Please note: while this kit is best suited to kids aged 13 and up if working independently, younger kids will also enjoy it with some adult assistance!